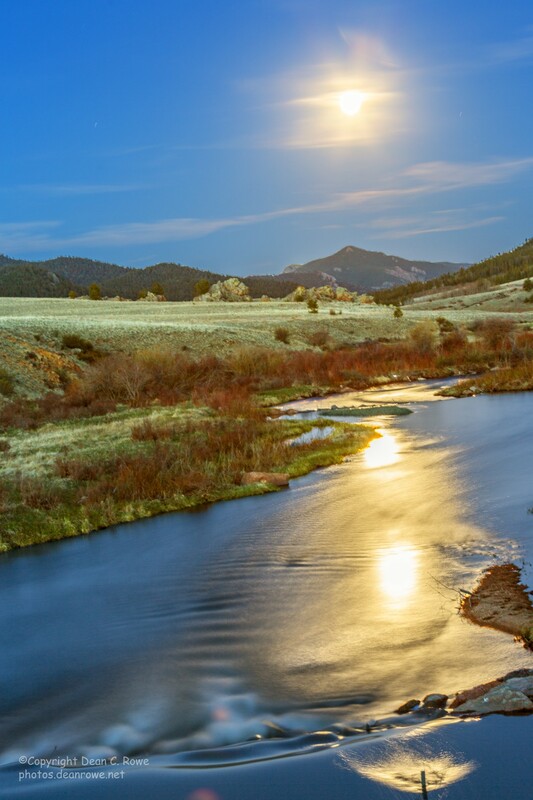 We were planning on shooting the full moon rising over Tarryall Reservoir, but as we were driving to our spot, we were struck by the moon reflecting on Tarryall Creek just below the dam and instantly changed our plans. Canon 5D Mark III 30 seconds at ISO 100 with a Canon EF 70-200mm f/2.8L II at 70mm & f/10, no filters. This entry was posted in Uncategorized by deanrowe. Bookmark the permalink.